VANCOUVER — Whether a tax on distributors of sweetened beverages in the city of Seattle has been a success or failure depends, of course, on who you ask. For some, it is a tax on the poor, and a job killer. For others it’s a way to bring millions of dollars into programs that provide healthy food for the needy, and free college tuition for some. 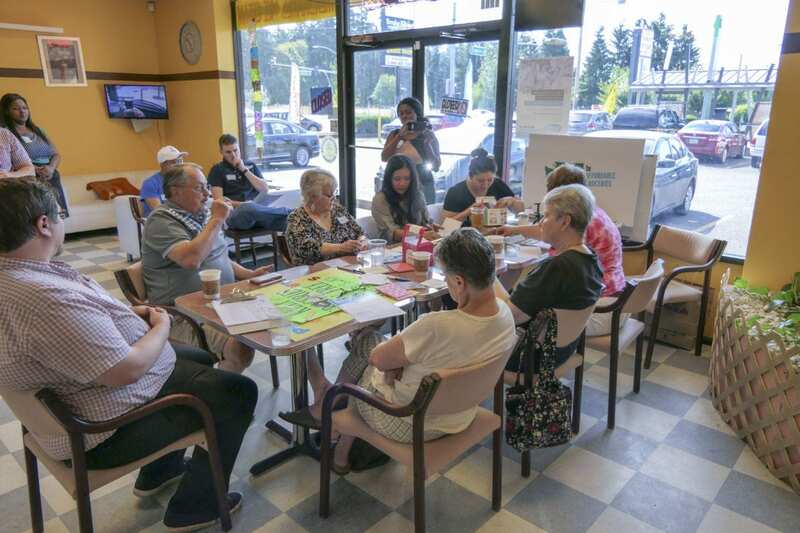 While it’s unlikely Seattle’s sweetened beverage tax is going anywhere, the backers of Initiative 1634 are hoping Washington voters will put their foot down this November, banning any other cities or counties from following Seattle’s lead. The Yes! To Affordable Groceries campaign submitted over 360,000 signatures to the Secretary of State’s office. While they’re still waiting for confirmation they had the required 259,622 valid signatures to get on the November ballot, they feel confident enough to move forward with the next steps in their campaign. The I-1634 group readily admits that nearly $6 million — around 99 percent — of their funding has come from four major backers, including Pepsi Co., The Coca-Cola Company, Dr Pepper Snapple Group, and Red Bull North America, along with $20,000 from the Washington Food Industry Association. But the group also boasts support from well over a thousand small businesses across the state of Washington, including more than 120 in the Clark County area. 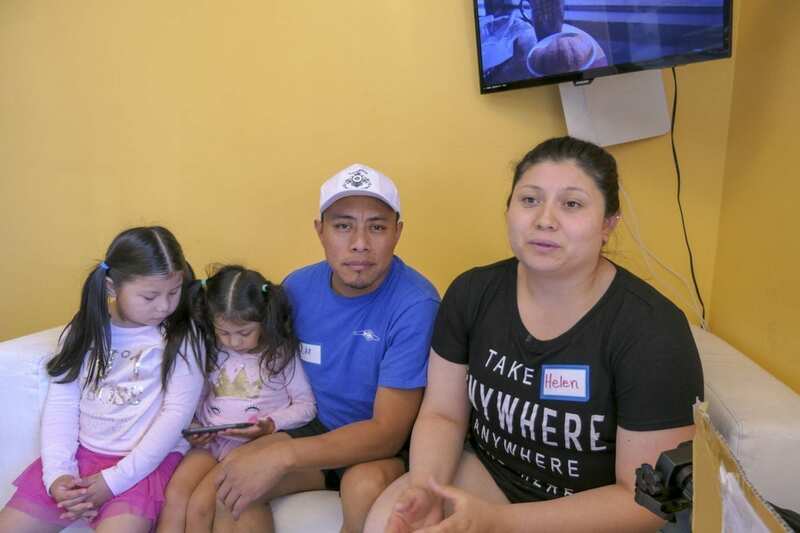 Heaton, along with business owners from places like Ichi 16 Teriyaki, Pasta Gigi’s, Daddy D’s BBQ, and Poncho’s, gathered last week at Tonalli’s Donuts & Cream on Fourth Plain to share why they support a ban on any new taxes on food or drinks. “If you have a donut for a dollar, it would be $1.08, and obviously it just adds up,” adds Elena. “None of them want to tell you that they’re going to have to raise their prices, but that’s just a fact of life when it comes to business,” Heaton says. Seattle’s tax of 1.75 cents per ounce on most drinks with added sugar (diet drinks, as well as most of Starbucks’ retail offerings, are exempted) went into effect as of this year. In the first quarter, the city collected over $4 million in revenue from the tax. But while the tax is paid only by distributors, consumers quickly are feeling the pinch. Kirkland-based warehouse giant Costco adopted a novel approach to show their disagreement with the tax, posting signs showing how much extra consumers were paying for their flat of Pepsi or Coke due to the tax, and how much they could save with a trip outside of Seattle city limits. Revenue from the Seattle beverage tax is used to fund healthier food options for low income people. Another chunk goes to family child care programs, 17 percent covers first year tuition for Seattle high school graduates, and 14 percent is used to collect the tax and evaluate the results. 19 percent of the revenue has not been assigned. The city says they taxed nearly two million gallons worth of sweetened drinks. But, they add, the goal is more about changing consumer behavior as obesity rates continue to rise. At this point it’s too soon to know if people are making healthier choices because of the added cost of a sugary drink. Heaton says, based on the number of signatures they were able to gather in a rather short amount of time, they feel confident that voters will back their initiative come November.